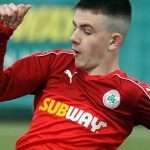 Richard Brush is today named Cliftonville Football Club’s Sean Graham Player of the Month for January after our closest ever vote. 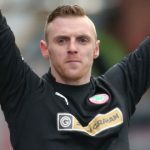 In an online poll conducted among Reds fans, goalkeeper Brush – Man of the Match in last week’s draw with Glenavon – claimed 31% of the hundreds of votes cast to secure the honour by just a single nomination. 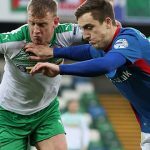 Prior to that fine individual display against the Lurgan Blues seven days ago, the Birmingham-born stopper also impressed in League and Cup defeats to Dungannon Swifts during what was far from a vintage month for the Reds, whose sole success in January came in a 4-1 victory over Ards, when a first-half penalty from the visitors denied Brush a clean sheet. 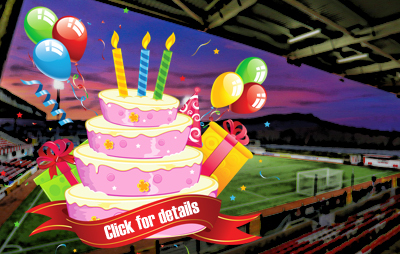 In addition to congratulating Richard on landing our latest Sean Graham accolade, the Club also places on record our thanks to the many supporters who took the time to get involved and we look forward to similar engagement when it’s time to determine February’s star performer in a few weeks’ time.